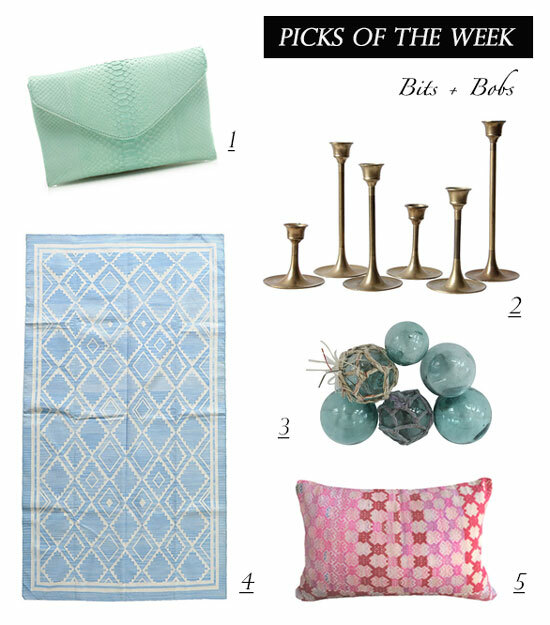 My picks of the week are a few bits and bobs found on my travels around the internet this week. All have a lovely vintage flair, wether they're considered vintage or brand new. I am particularly eying the rug from Stark and those gorgeous, minimalist brass candlesticks. Also those vintage glass sea floats would be amazing corralled in a bowl in a beach house, no?